Connie and Hank Angus are two of the strongest and most inspirational people I know. Each year they bring together complete and total strangers and form a family with one common goal, to help beat pediatric cancer. On September 15, 2004 they received the most devastating news of their lives, their 4 year old son Gabe was diagnosed with Leukemia. 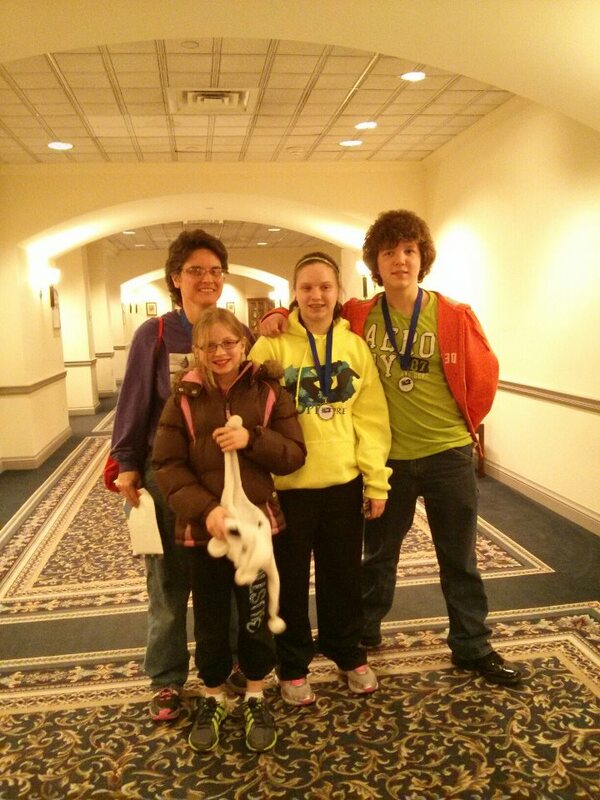 With the help of Penn State THON, Four Diamonds Fund (FDF), and Hershey medical Gabe is now 13 and completely healthy. In fact this past November he celebrated his 5 year remission! As amazing as that is it’s not the story I want to share with you. 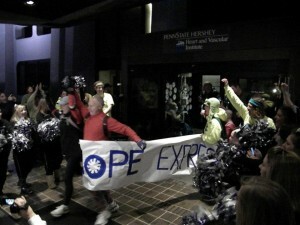 In 2007 Hank & Connie decided they wanted to give back, the plan was to run 135 miles from Hershey Medical Center to Penn State the weekend of their 46 hour dance marathon(where most of the funding for FDF comes from) to bring letters to the dancer from the kids at Hershey who are too sick to attend. They got together other FDF families and started the Hope Express, then called THON Express. Hope Express is a team of 16 runners who run 135 miles (and an 8 person Extreme team who run 140miles) over a 24 hour period. The team consists of THON alumni as well as current and past Four Diamonds Families. Just as THON dancers participate in the no-sitting, no-sleeping, two day dance marathon held every February, enduring hours of fatigue, pain and delirium, the Hope Express runners will have to endure the cold, harsh, winter weather of a very cold night in February. To make this happen Connie, Hank, and their three children: Gabe, Veronica, and Sydney give up a good deal of their free time to coordinate Fundraising, runner selection process, and pick a team of moralers to help along the route. They open up their home to all the runners, moralers, and countless Penn State Students for various weekends through out the year. Bringing THON alumni together they form a family out of complete strangers. Inspiring hope in each person involved they ban together with one goal in mind: to help the families of children battling cancer. They inspire every person they meet to believe that nothing is impossible, that with hard work, strength, and family even the craziest ideas can become a reality. In 2013 the Hope Express raised over $93,000 for the FDF and their goal continues to grow each year. They go above and beyond each day to help families and children they have never met in the hopes that one day no parent will ever have to hear the words “your child has cancer”. If you are anything like me the Grammys are about sitting around with friends to watch over the top performances (remember Pinks acrobatics in 2012? ), gawk over the gorgeous gowns you could never afford, and make fun of the obnoxious gowns you would never want to afford (not going to lie – this is my favorite part of the whole night). However, I’ve never really thought about how the winners are decided, they just happen. There is actually a fairly long process that goes into this decision and unlike American Idol and VMA’s we get no say. 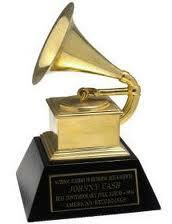 Grammy nominations are decided by The National Academy of Recording Arts and Sciences(NARAS). The Grammys always acknowledge achievements from the year prior- so the 2013 Grammys are for albums that came out in 2012. 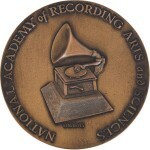 Nominations are made by record companies and individuals online with a physical copy of the work to be sent in to the NARAS. One hundred and fifty music experts are appointed with the task of going through the nominations for all 81 categories and deciding if it meets the criteria for the category it has been nominated for. This list is then sent out to all NARAS members to vote on. They then choose 9 out of the 29 other fields to vote in. (ex: Pop , Latin, Gospel) The top five nominees from each category become the Grammy Nominees that get announced to the world……. the process is still not over!! The top five are voted on by all Recording Academy Members who again vote in the general categories and then choose 8 out of the 30 fields (preferable ones they have experience in). Votes are counted and Winners are announced live at the Grammys. Though I don’t always agree with the winners chosen; for the Artist it’s an accomplishment that is recognized by their peers and not just their fans. And no nominee walks away empty handed, for those who do not win the Gramophone Award, there is a medal given out(see below)- the design for which has varied over the years. So tune in February 10th 8pm EST to see what Gaga wears next, watch Elton John perform with Ed Sheeran, and find out who the Academy has deemed the best of 2012. This entry was posted in Uncategorized on February 7, 2013 by .